The modern reality of digital transformation demands that companies deliver applications faster—all without sacrificing quality and performance. Hewlett Packard Enterprise is a recognized leader in the performance testing space, and with every new software release, we continue to solidify our position as a frontrunner and innovator. 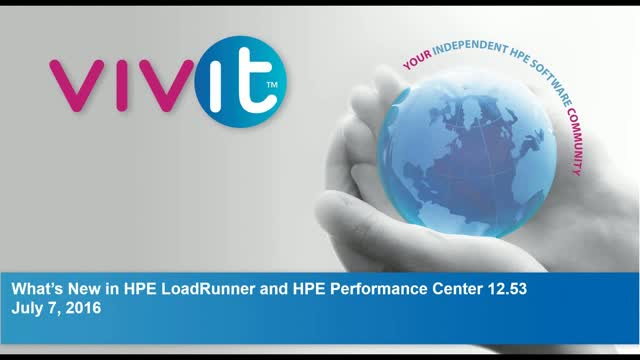 HPE LoadRunner and Performance Center version 12.53 are packed with features to support testing in Agile and DevOps environments. You can interface with popular third-party solutions, and improve usability and efficiency of performance testing, to help enterprises accelerate their time-to-market and increase productivity.